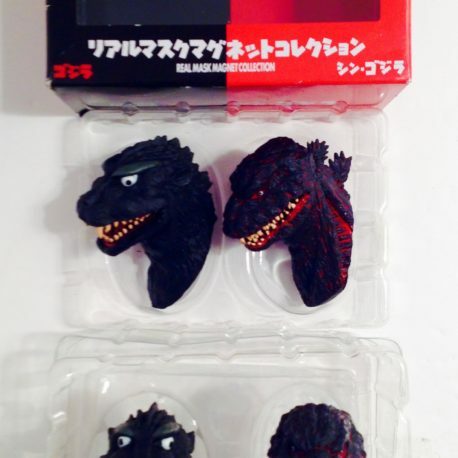 Incredible detail on these magnets that are the head of Godzilla 1954 and Shin Godzilla. The magnets are approximately 3 inches high. 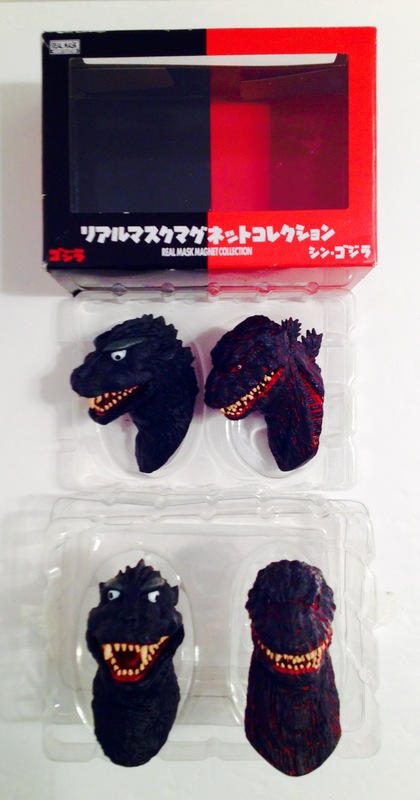 There are only two magnets per box although the photo shows two views of the heads. In box.